Cloud computing and networking related presentations can often require a more global theme. 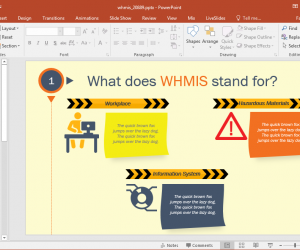 Simply showing routers, servers or network cables is not the most wonderful method of keeping your audience awake from what can be a lengthy technical presentation. 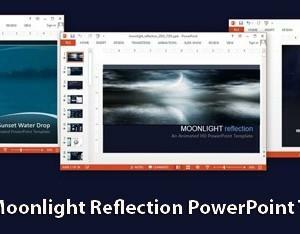 Global Network PowerPoint Template is an animation packed presentation template for making presentations related to sales, marketing, networking and other related topics. 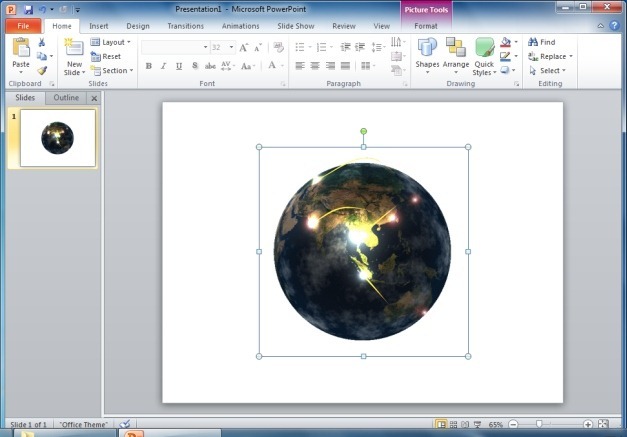 The template starts with an editable animated slide of a globe with lines moving across it. 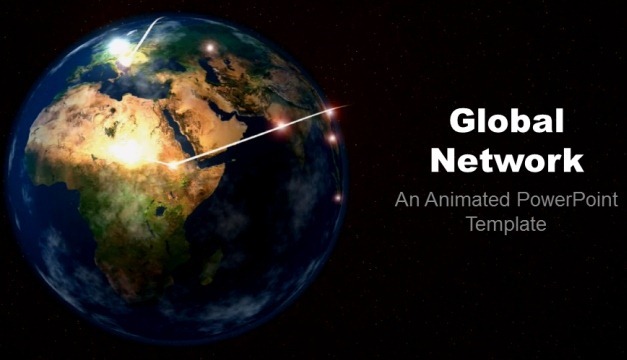 This animation can reflect a global network, connectivity, internet, etc. 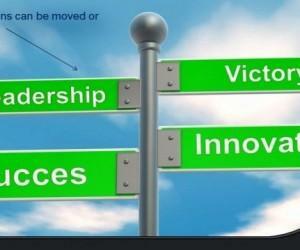 You can add your own text and a logo/image to customize this slide. 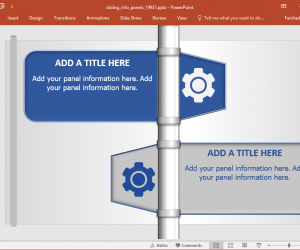 To preview the animated slide with your added content, run the template in PowerPoint Slide Show mode. 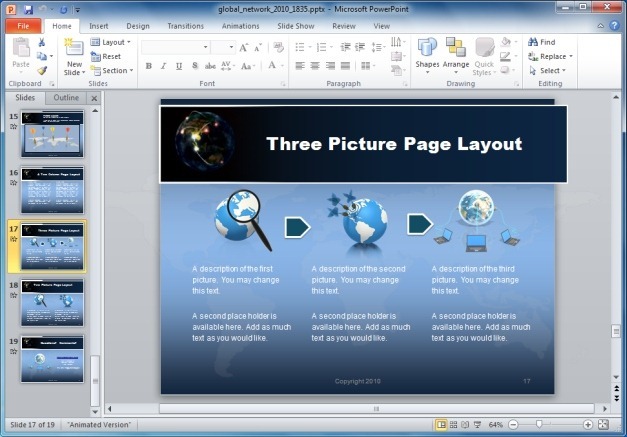 The template provides different types of slide layouts to give you a head start in making your presentation slides. You can also alter the order of the existing layouts to suit your needs or simply pick one which may be suitable for you. 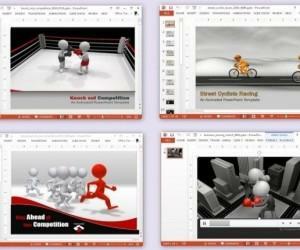 The different slide layouts include; picture, chart and image slides, as well as layouts with SmartArt graphics. 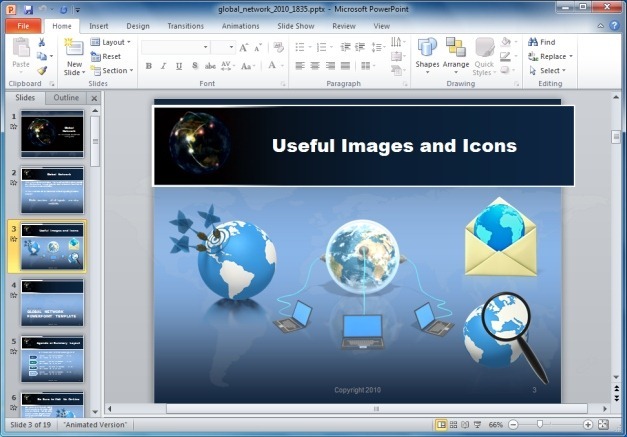 The template offers many technology themed images and icons, particularly related to networking, as the template is meant to provide slides related to global networking. 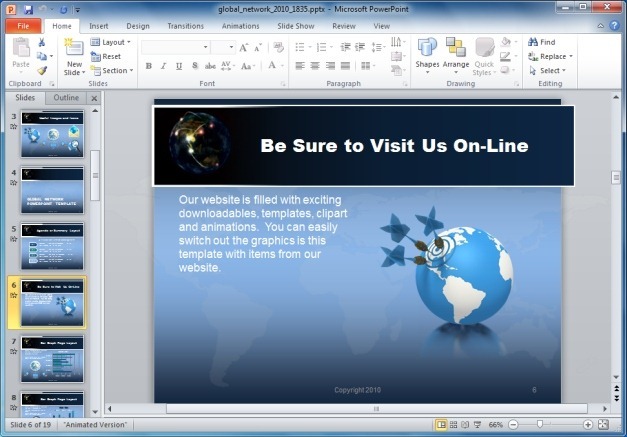 You can use the given clipart across new and existing slides to further enhance your content. 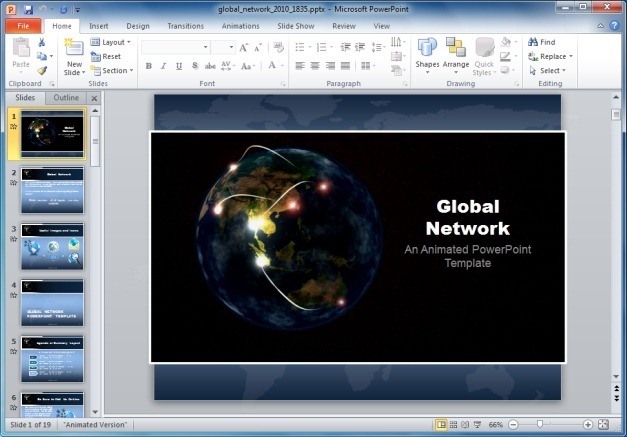 If you would like to simply download the Global Network animation available in the first slide of the above template, you can download it in GIF, SWF or MOV format from the link given below.